Legislators are considering major changes to the state Public Records Act to help local governments cope with numerous, massive records requests. But a risk is that delays in processing legitimate requests could become more political than practical. The people use public records to learn what their government is up to, so they can maintain control. But under an evolving proposal in the state House of Representatives, records requests that are now answered promptly could languish at the bottom of a pile, and much of what government does could be hidden behind a wall of bureaucracy. The latest available version of SSHB 2576 would strip the Public Records Act of its core provision that all records requests must be handled with the same promptness regardless of who makes them or why. It would let local governments restrict the total time spent on records requests to as few as 10 hours a month — actually planning for backlogs — and give priority to certain requesters based on who they are, what they want and why. Seattle Attorney Katherine A. George is legal chair of the Washington Coalition for Open Government. George Erb is a coalition board member and a journalism instructor at Western Washington University. This well-intentioned bill is intended to address requesters who make massive or incessant records requests at great cost to taxpayers. For example, last fall one requester asked cities throughout King County to produce all records of any kind in an effort to create an enormous database for the public, although he later withdrew the requests. SSHB 2576 would relieve agencies from answering such “everything you’ve got” requests as well as automated (“bot”) requests that come from a computer rather than a human. But the bill goes too far by hurting the majority of requesters who are sincerely trying to educate themselves or the general public about important issues. If the latest version passes, the government would ask if you want records because of some imminent legislative, administrative or court action, or immediate threat to safety or liberty. Unless your request relates to something imminent, is “routine” or “readily fulfilled” (whatever that means), you could go to the end of the line. Enterprise journalism, not tied to anything on a court docket or council agenda, would take a back seat, to the public’s detriment. For example, the public-records requests used for “Loaded With Lead,” an award-winning Seattle Times investigation that exposed a health threat at shooting ranges, would not have met the “priority” criteria in SSHB 2576. Current law already allows governments to delay large and complex requests based on how long it takes to find and turn over the information. Under the proposed legislation, the government could put off large requests solely as a matter of preference. Delays would become political rather than practical. 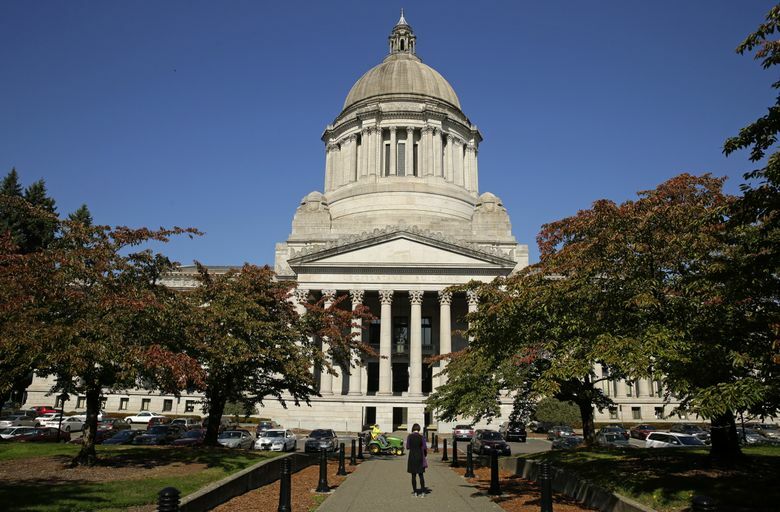 State legislators are sympathizing with local public officials who say numerous and massive records requests are gobbling up staff time and budgets. But any savings from SSHB 2576 have not been quantified, and agencies would face new burdens in determining which requests meet priority criteria and informing requesters about backlogs. The state Auditor’s Office is studying the financial effects of the current law on local governments. Its findings, expected this fall, should bring more facts to a problem that is often illuminated only by anecdotes. We would get better policy by waiting for better information. In the meantime, legislators should call a timeout before they damage the letter and spirit of the Public Records Act. Most critically, policymakers should re-examine how technology can reduce costs and speed up responses under the law. Investing in more efficient technology would relieve much of the current tension between government and its citizens, instead of driving a wedge between them. Nothing less than the sovereignty of the people is at stake.